The summer has many things to offer: popsicles, music festivals, and sun! If you live in a place like California, youre probably used to it all, but for those of us who are in a place like Iowa, the summer is one of the very few times when we can ditch the piles and piles of Winter coats. The only one-up that we have, though, is that we have weather that doesnt cause frizz. Now, it is frizz weather in pretty much the whole country as well as in other places in the Northern hemisphere, I think. I read something from Allure.com about fighting frizz, which I found helpful so I decided to share it with you guys along with more product recommendations. When you add volume to your hair, it decreases the chance for your hair to curl and crimp together. Spray a little product onto palms, scrunch into hair from root to end. Messy beach waves are in right now, and if you pull it off right, your hair wouldnt look frizzy. This makes easy Summer hair because just a few sprays on toweled-dry hair does wonders. When hair is sleeked back, frizz is pretty much gone. Work product into wet or dry hair, comb back. *This post is not sponsored, just inspired, by allure.com. All images were taken from allure.com unless otherwise stated. You can try it with shorter hair. It might end up looking better! 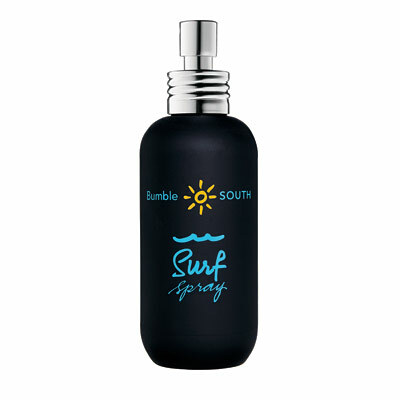 I have the bumble and bumble surf spray- I want try it again for summer! Ive never tried it, but Ive heard really good things about it.